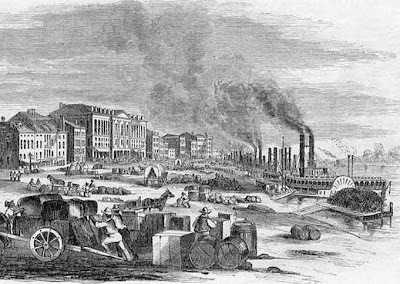 Today I am continuing my blog, "What if Arabia didn't hit the snag in 1856?" by posting from the Rail and River Transportation Report. 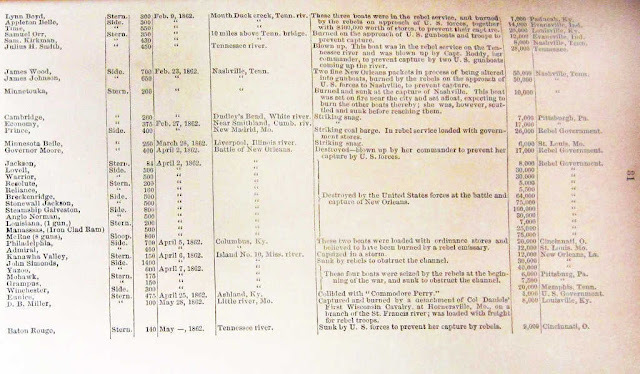 In order to read these- Click on the Chart and it will be largest enough to read. This is only the first six pages with the rest (God Willing) on the next blog. 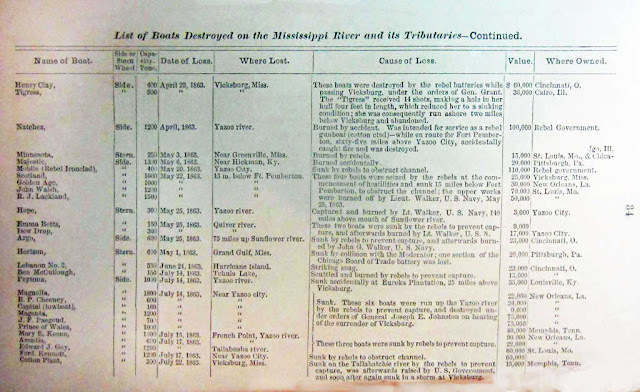 Many thanks go to my dear husband who helped to photograph and resize the charts (he'll get a good dinner tonight!). 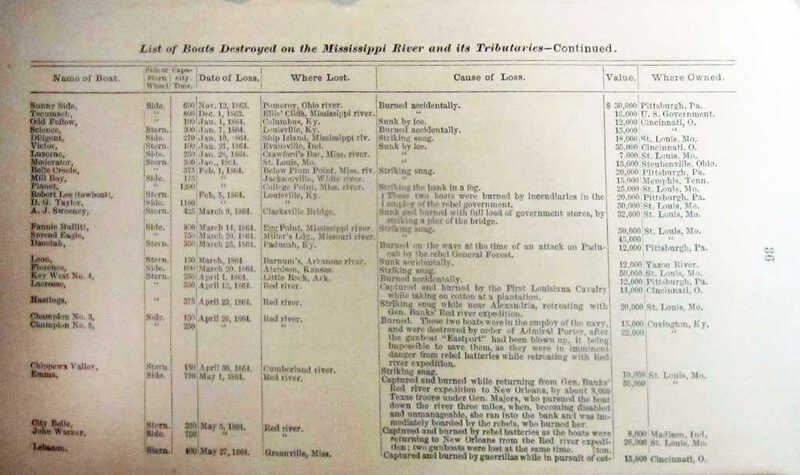 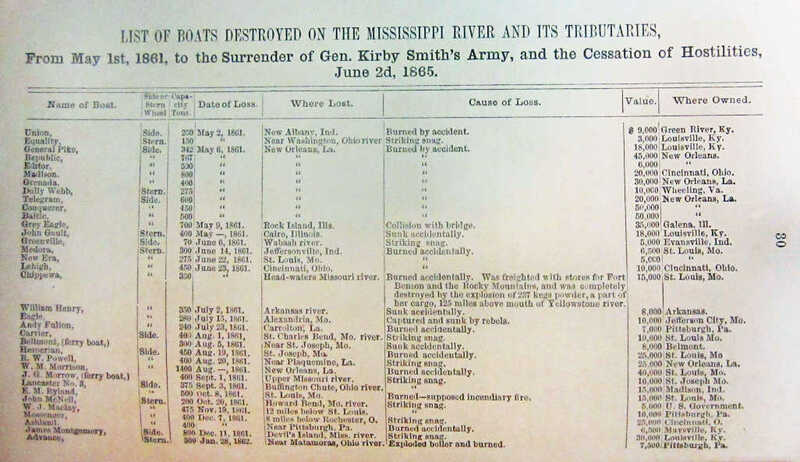 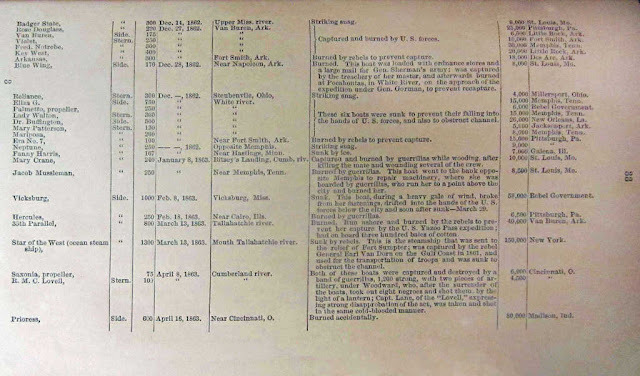 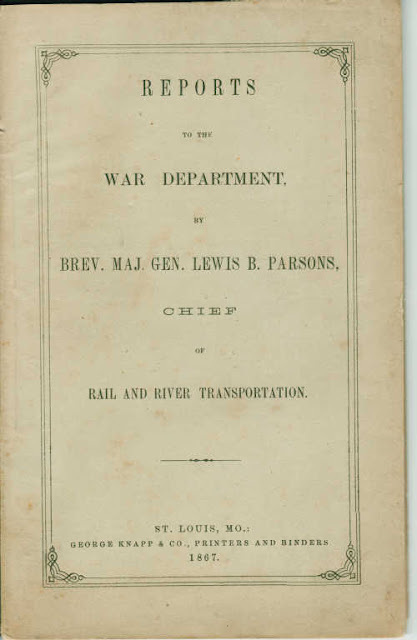 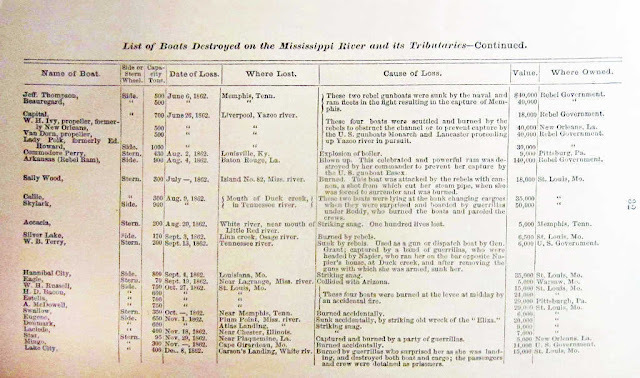 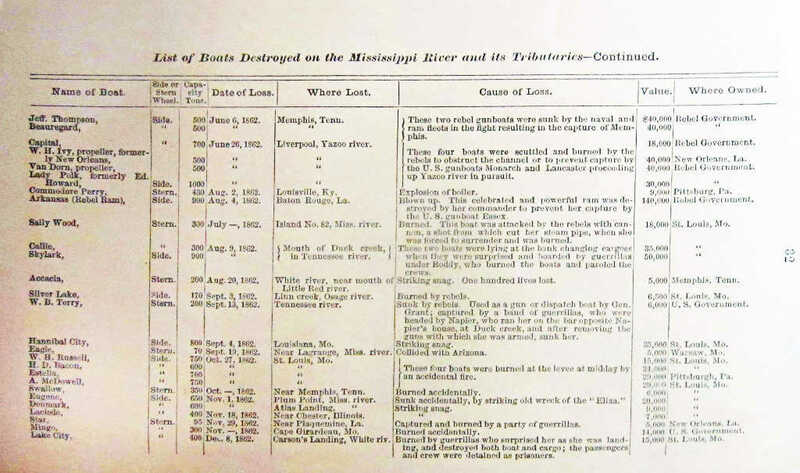 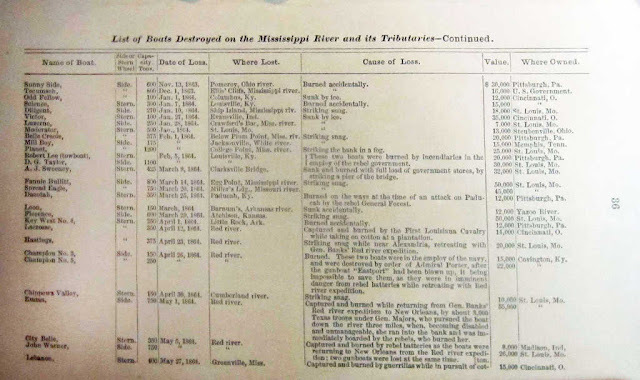 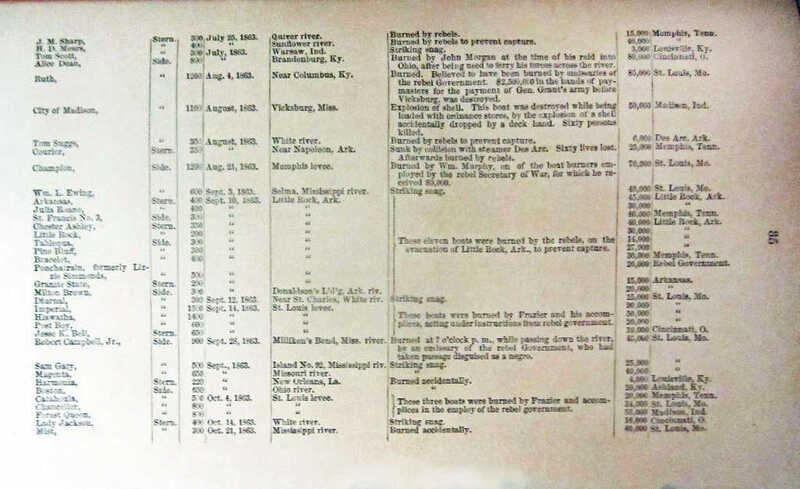 The List of boats destroyed on the Mississippi River and its tributaries: From May 1, 1861, to the surrender of General Kirby Smith's army, and the cessation of hostilities, June 2, 1865.